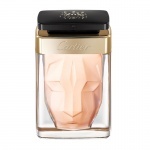 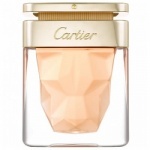 Cartier La Panthere is acaptivating perfume that reflects a liberated, passionate woman. 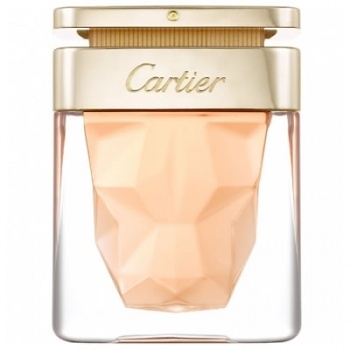 A feline floral fragrance born out of radiant, delicate gardenia coming together with velvety notes of musk. Cartier La Panthere perfume is sensual and bold floral chypre perfume that graces the skin with a feminine and lasting fragrance. 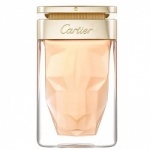 The top of the Cartier La Panthere has a green fruity mixture of rhubarb, strawberries, dried fruit, apple and apricot, over a heart dominated by gardenia and a feminine base of ketone musk and oak moss for an irrefutable chypre character.